Aging is an evitable part of life, but negative feelings toward aging may contribute to poorer health and certain diseases, according to recent evidence published in the journal Psychology and Aging. Researchers from the University of Toronto suggest that older adults who have negative thoughts about aging also perform worse in tests related to memory and hearing. This is especially true when the negativity contributes toward undermining an individual’s confidence in their ability to remember and hear. Alison Chasteen is the study’s lead author. She’s a psychology professor at the University of Toronto with a research background in memory and attention in social scenarios and stereotyping. Chasteen believes there is a greater need to understand the influential factors of the daily lives of older adults. For the study, 301 participants between the ages of 56 and 96 completed a series of memory and hearing tests. They were also assessed on their concerns and views about aging. The participants first completed recall memory tests and standard hearing tests. For the memory tests, participants looked at a 15-word list on a computer and listened to various word lists on a set of headphones. Afterwards they then wrote down as many words as they could remember. Another hearing and memory test had participants listen and repeat five words right away and then recall them again five minutes later. To help access the participants’ perceptions about getting older, the researchers had them imagine 15 scenarios, while giving a score that indicated age-related concerns. One scenario involved a car accident where it’s not clear who is at fault. Participants then rated how worried they were about being blamed for their age. The participants also rated their level of concern with aging, losing their independence, being alone, finding contentment, or becoming more forgetful. Participants with negative views on aging who believed they had hearing and memory problems also performed poorly on those related tests. Basically, a person’s perception about getting older should be considered. Chasteen suggests that older adults benefitted from learning how they could influence the aging experience by performing practical memory, thinking, and physical performance exercises. This would help them eliminate aging stereotypes. In another study published this week in Psychology and Aging, Yale School of Public Health researchers found that individuals with negative beliefs about aging have greater association with brain-related changes linked with Alzheimer’s disease. The disease currently affects over 5 million Americans but the study suggests that stopping negativity about aging could reduce the increasing number of Alzheimer’s patients. Chasteen, A.L., et al., “Do Negative Views of Aging Influence Memory and Auditory Performance Through Self-Perceived Abilities?” Psychology and Aging; 2015. “Stereotypes around aging can negatively impact memory and hearing,” EurekAlert! web site, December 9, 2015; http://www.eurekalert.org/pub_releases/2015-12/uot-saa120815.php. 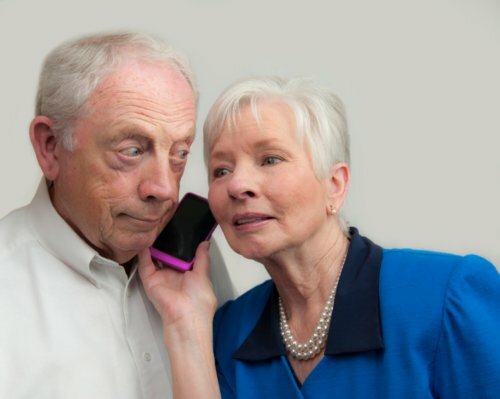 Paddock, C., “Negative feelings about aging can affect hearing and memory in older people,” Medical News Today web site, December 10, 2015; http://www.medicalnewstoday.com/articles/303865.php. Greenwood, M., “Negative beliefs about aging predict Alzheimer’s disease in Yale-led study,” Yale News web site, December 7, 2015; http://news.yale.edu/2015/12/07/negative-beliefs-about-aging-predict-alzheimer-s-disease-yale-led-study.